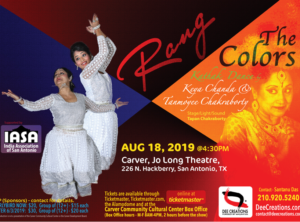 performance will showcase the power and significance of each color of the chakras, balancing our lives towards universal peace. gold medalist and a member of International Dance Council, UNESCO,Paris. She is a disciple of Smt. Rani Karnaa, Pdt. Bachan Lal Mishra, and Pdt.